Excellent security systems protect your home, assets, resources and loved ones. With the level of risk faced in our everyday society especially in businesses, it advisable that an excellent electronic/electrical security service should be provided. Why Is A Security System Needed? Statistics have shown that nine in every ten burglars avoid burgling houses or institutions with security systems. Ultimately, this demonstrates the level of safety these devices offer. Also according to insurance companies, the home security system may help you save about 20% on your monthly homeowner’s insurance, therefore serving as an investment that will pay off in the long run. 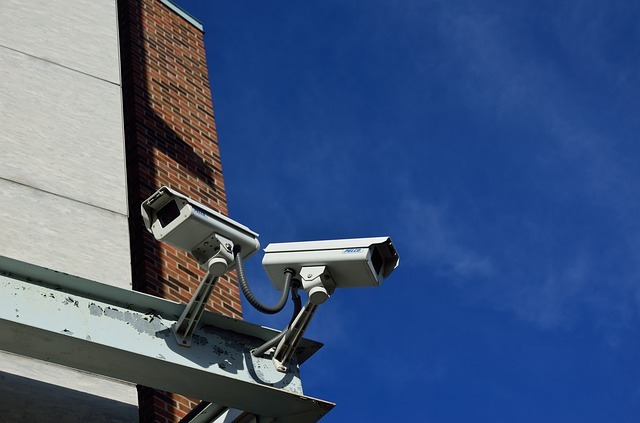 Business owners and companies also need security systems as this will go a long way to ensure discipline, safety, and professionalism in the business environment. Its benefits are overwhelming. Help inform emergency response team immediately an issue is noted. A company can be protected from liability claims, more especially if a customer accuses the company of a subject that took place in the business environment. With the help of the security camera, the libel claim can be resolved after a video evidence is provided. How can customers be served using integrated security solutions? The services provided by integrated security solutions can help as the best security need any individual/customer would want irrespective of size. The solutions provided by ISS includes; video and access systems, scalable intruder, wide-enterprise systems regarding video coverage and access that can integrate with different business. This solution is made for your business, home, and financial institutions. Expanding beyond conventional alarm monitoring system, the solutions provided includes; providing a central database management that helps to analyze issues efficiently, overseeing transactions, system reports, maps, system configuration and panel programming. For your home: integrated system solution provide quality security service for your home, with alarm and access control system integrated into the web, you can monitor the activities in your home from anywhere. With HD and 4k surveillance camera and an efficient database management, the security of your valuables is top notch. For financial institution: integrated system solutions offer quality service when it comes to keeping your money safe. Banks and other financial institutions can rely on the solutions offered by integrated system solutions. With excellent technologies like drive up systems, custom safes, vaults, safe deposit boxes, under counter steel any financial institution is assured of maximum safety. In excellence in work-flow is assured knowing fully well that your teller pedestals, cash and coin locker unit, double wide cabinet, knee space unit, cash tray and coin scoops are designed with the toughest of material and exceptional technological know-how. Integrated system solutions offer one of the best solutions regarding security. With the intelligent video solutions and CCTV system it provides, you can monitor and control business losses, company safety, and location access. These solutions are offered with the single and multi-camera system, video and audio surveillance, remote monitoring, and intervention functionality. Integrated system solutions also offer adequate access control through their access control systems, code entry controls, proximity readers bio metric identification and screening. Their fire alarm system protects your personal safety and assets with sensor detecting smoke, excessive heating, water flow, and gas. With 24-hour central station monitor, you can supervise every security details. The intrusion system guards your property against burglary and also provides motion detectors, door contacts, automation and all round station monitoring. The nurse call system satisfies alerting and communication needs of any health care facility. It offers a wireless solution that provides position and notifications, real-time locating system over wireless architecture, distributed architecture, and a 24-hour station monitoring. The integrated system is the solution to the security system and monitoring. With an integration of modern design and technology quality is always what you stand to get.